Many people are drastically under-eating protein, despite it being the key macronutrient for optimal body composition. It’s high thermic effect help boost our metabolisms, making us look better, building lean muscle tissue and reducing body fat. Over the years a high protein diet has taken the headlines for being unhealthy, 31 but research never holds up. It is our job to educate clients on the importance of having a high protein diet, and the actual benefits from doing so. IsaLean is a full meal replacement—not a “snack,” providing optimal support for nutritional cleansing and replenishing, weight loss and weight maintenance, as well as peak performance. While low in saturated fat, sodium and cholesterol, IsaLean® Shake provides the right balance of protein, carbohydrates, healthy poly- and mono-unsaturated fats, dietary fiber, vitamins and minerals (including calcium, vitamin C, vitamin B12, and vitamin D). Plus, you get active digestive enzymes that help maximize absorption of key nutrients. Many products touted as “meal replacements” don’t deliver adequate nutrition to do the job of replacing a meal. Plus, most don’t have the right amount of protein to prevent the muscle loss that often accompanies weight loss. IsaLean Shakes need only to be blended with water for a satisfying meal replacement while many others require being mixed with milk in order to even come close to being a proper meal replacement. amount of branched-chain amino acids that whey protein naturally has the highest amount of. This is not the case with soy protein isolate, the protein source for many other shakes on the market. IsaLean Shake is truly the meal replacement of choice for losing weight while maintaining and building muscle. The late 1970s discovery of the nutritional benefits of proteins from whey, especially their ability to raise glutathione levels, by Dr. Gustavo Bounous at Canada’s McGill University and brought whey proteins into the limelight. Whey protein in itself contains a large group of cysteine rich proteins: alpha-lactalbumin, beta-lactoglobulin, serum albumin, lactoferrin and immunoglobulins - generally referred to as "lactalbumin" that all remain soluble in whey after separation from casein. These proteins are easily digestible because when consumed intact with cysteine remaining bonded, they survive digestion, easily enter the bloodstream, then enter cells for further use. For this reason earned a reputation of a superior protein supplement for body builders and athletes. Most importantly, these proteins in their undenatured form are potent glutathione precursors because of their remarkably high bonded cysteine content. What is so important about cysteine? It is typically lacking in the Western diet, and comes together with two other amino acids (glycine and glutamic acid) to form Glutathione (GSH). The level of cysteine in your system is the limiting factor in how fast you can produce glutathione and how much of it you can make. Glutathione is a massive antioxidant and detoxifier in the body. It supports your immune system (bacteria, virus, and even cancer fighter), fights signs of aging, helps detox your liver and is even beneficial for strength trainers to repair muscle. No artificial ingredients. Many other products available use artificial sweeteners, flavors, and/or coloring. Isagenix uses none of these. Isagenix only uses high-quality protein from dairy cows that are not given artificial hormones or routine antibiotics. Their fresh milk is guided through a series of fine filters under low heat to separate whey from other dairy components such as fats and lactose. This gentle system uses no acids, keeping the protein in a natural state, undenatured as it should be. Moreover, our Quality Assurance Team inspects all ingredients to test potency, amino acid profile, as well as the presence of microbial content, pesticides and heavy metals to ensure the purest product possible.Ionic Alfalfa™. IsaLean Shake also contains Ionic Alfalfa, our proprietary blend of plant-derived minerals that provide additional nutrients for the body. IsaLean Shake retails at around $3.71 per meal, its cost is $2.85 at the Associate and Preferred Customer Price. Be wary of cost comparisons used by competitors who sell shakes that are actually artificially laden soy protein snacks and try to compare to full meal replacements. And don’t forget, water is free; many of the competitors require milk to be a suitable meal replacement. While IsaLean Shake retails at around $3.71 per meal, its cost is $2.85 at the Associate and Preferred Customer Price. Be wary of cost comparisons used by competitors who sell shakes that are actually artificially laden soy protein snacks and try to compare to full meal replacements. And don’t forget, water is free; many of the competitors require milk to be a suitable meal replacement. This specialized nutrition is great for athletes, active people and teens who want to gain muscle and for those trying to break through weight-loss plateaus, lose stubborn belly or harmful visceral fat. It’s also beneficial for older adults who want to prevent age-related muscle loss. IsaLean Pro contains a high concentration of branched-chain amino acids to naturally boost muscle growth and maintenance while helping speed post-workout recovery. 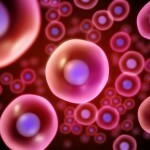 Your blood cells replace themselves every three to four months. Your muscle cells replace themselves about every six months. Brain cells can take a year or more to replace themselves.Right when each of these types of cells are formed, they use the nutrition the person is giving their body at that time. In other words, the cells are limited in function for their whole lifetime by the nutrition they receive when they are formed. If you eat garbage proteins, you cannot help but grow a garbage body. And you are stuck with that body for the next six months. Maximizing athletic performance with nutrition and proper nutrition timing. Dr. Paul Biondich talks about maximizing your athletic performance and recovery with Isagenix nutrition and proper nutrition timing. An interview with Dr. Michael Colgan the worlds leading authority on protein. On the show with Peter Grennlaw, Author, Speaker and Coach Steve Toth Moderator and Executive Producer we discuss the ramifications of protein on overall human health and brain function. Not all proteins are created equally. The human body does not store protein it only stores fats and carbohydrate. Protein may be the single most important nutrient we do not get enough of and the most misunderstood. Michael Colgan, PhD discusses the differences in sports protein powders. Whey protein isolate vs. undenatured whey concentrate. How are they different? Which is better? Trainer: Research Nutritionist II Katie Coles - As our company grows, more and more athletes are discovering Isagenix. What is it that’s catching their eye? Listen in as Katie highlights the benefits that Isagenix products provide for all athletes from Olympic to amateur level. If you’ve mastered healthy eating, proper hydration and you’re working the protein window you’re only missing one thing to boost your athletic performance—the perfect supplement of micronutrients. It may not seem like a high priority – taking supplements – but when you add the right vitamins, minerals and special bioactives to your daily regimen, you can take your game to the next level. (IsaLean shake, Ionix, CFL, Ageless Essentials, Product B Isagenesis). Jim has 30+ years in nutritional counseling and was the President of a different International Nutritional Company before leaving to join Isagenix. He's an educator, author, and Isagenix product expert. Peter Greenlaw on why Diets Fail & why the Isagenix is so unique solution.